“Each of our customers is a Davis Valve distributor”. Any of our customers can be competitive in the open market using our valve prices without the necessity of buying and maintaining their own inventory. Davis Valve has a huge inventory. Davis Valve stocks more than 35,000 valves worth more than $12,000,000. We have the valves in stock ready to ship to support our customers! We have very quick quote turn around. Most inquiries are answered immediately. Same day shipment is our standard service. Our emphasis on customer service has been the catalyst to our rapid growth in the valve industry. You will find our valves in a wide variety of industries including pulp and paper, mining, petro-chemical, waste water treatment, oil and gas exploration, power generation, and food service. Davis valves are being used extensively throughout North, Central, and South America. We offer a wide range of industrial valves for many different applications. 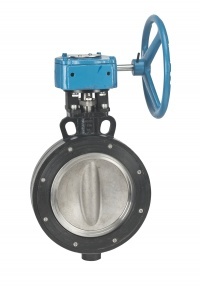 Our products include knife gates, wafer checks, boiler stop checks, ball valves, strainers, gates, globes, swing checks, plug valves, and butterfly valves in sizes ranging from 1/2" all the way to 36" in many different body materials. In an effort to provide great service to our customers we maintain a large inventory of over 35,000 valves ready to ship. Same day shipment is the standard at Davis Valve rather than a special and more expensive service. We also maintain a full service actuation center in our facility to enhance your ability to satisfy your customer. Look to Davis Valve for fast, dependable service and competitive pricing. Davis Valve warrants its products against defects if the products are used for the purposes for which they are manufactured and sold. This warranty shall expire one year from the date of the shipment unless within the period the purchaser has given Davis Valve written notice of the defect promptly after the product proves defective. THIS WARRANTY IS IN LIEU OF ALL OTHER WARRANTIES, WRITTEN OR ORAL, EXPRESS OR IMPLIED, INCLUDING THE WARRANTIES OR MERCHANTABILITY OR FITNESS FOR A PARTICULAR PURPOSE, ALL OF WHICH ARE HEREBY EXLUDED. The purchaser’s exclusive right or remedy under this warranty shall be limited to the furnishing of replacements or refund of purchase price for products found defective by Davis Valve. Davis Valve’s warranty is void if any modification is made on the warranted product, regardless of whether the modification causes or contributes to the defect or damage. Any modifications are made at the risk of the party making the modification. Purchaser indemnifies and holds Davis Valve harmless from all claims or causes of action arising from the purchaser’s modifications, even though groundless, as well as from any damage suffered by Davis Valve arising in whole or in part from such modification. If purchaser modifies and resells the product, purchaser agrees to inform its customers that Davis Valve makes no express or implied warranties because of the modification. 1. Returns of material are not allowed without prior authorization from Davis Valve and must be made within 60 days of the original invoice date. 2. Approved returns will be issued a Return Goods Authorization number and processed in the form of a credit memo only. 3. RGA numbers expire 30 days after date issued and can no longer be used to return material. 4. All approved returns are to be shipped to Davis Valve with the assigned RGA number clearly marked on the outer shipping packaging. 5. Goods which are returned for any reason other than a defect must be in unbroken original cartons, and will be inspected upon arrival to ensure the items are in new resalable condition. 6. All sales are final for special order non-stock items and all items which were modified from its original condition at the request of the customer. 7. Any goods which are returned for any reason other than a defect which were shipped to the customer full freight allowed (FFL) must pay back the actual freight charges that were originally paid by Davis Valve. 8. All freight charges for any goods which are returned for any reason other than a defect are the customer’s responsibility to pay. 9. A minimum restocking charge of 20% will be assessed on all non-defective material returned within thirty days of the original invoice date. A 30% restocking charge will be assessed on all non-defective material returned between thirty-one and sixty days. 10. All goods must be returned clean and in the open position as they were received.